Neprilysin, a widely expressed peptidase, is upregulated in metabolically altered states such as obesity and type 2 diabetes. Like dipeptidyl peptidase-4 (DPP-4), neprilysin can degrade and inactivate the insulinotropic peptide glucagon-like peptide-1 (GLP-1). Thus, we investigated whether neprilysin deficiency enhances active GLP-1 levels and improves glycaemia in a mouse model of high fat feeding. Nep +/+ and Nep −/− mice were fed a 60% fat diet for 16 weeks, after which active GLP-1 and DPP-4 activity levels were measured, as were glucose, insulin and C-peptide levels during an OGTT. Insulin sensitivity was assessed using an insulin tolerance test. High-fat-fed Nep −/− mice exhibited elevated active GLP-1 levels (5.8 ± 1.1 vs 3.5 ± 0.8 pmol/l, p < 0.05) in association with improved glucose tolerance, insulin sensitivity and beta cell function compared with high-fat-fed Nep +/+ mice. In addition, plasma DPP-4 activity was lower in high-fat-fed Nep −/− mice (7.4 ± 1.0 vs 10.7 ± 1.3 nmol ml−1 min−1, p < 0.05). No difference in insulin:C-peptide ratio was observed between Nep −/− and Nep +/+ mice, suggesting that improved glycaemia does not result from changes in insulin clearance. Under conditions of increased dietary fat, an improved glycaemic status in neprilysin-deficient mice is associated with elevated active GLP-1 levels, reduced plasma DPP-4 activity and improved beta cell function. Thus, neprilysin inhibition may be a novel treatment strategy for type 2 diabetes. Joshua R. Willard and Breanne M. Barrow contributed equally to this study. Neprilysin (encoded by Nep, also known as Mme) is a widely expressed plasma membrane peptidase with increased levels in metabolically altered states [1, 2, 3]. We and others have demonstrated that reducing neprilysin activity may be beneficial via improving insulin secretion  and sensitivity [5, 6, 7]. Glucagon-like peptide-1 (GLP-1) is a substrate for both dipeptidyl peptidase-4 (DPP-4) and neprilysin. DPP-4 removes the first two N-terminal amino acids, rendering GLP-1 non-insulinotropic, although it can still bind to its receptor [8, 9]. Neprilysin cleaves active GLP-1 at six sites in the central and C-terminal regions [10, 11], thereby eliminating its ability to bind to the GLP-1 receptor. Up to 50% of exogenously infused GLP-1 may be cleaved by neprilysin , and the combination of neprilysin and DPP-4 inhibition is more effective at maintaining active GLP-1 levels and enhancing insulin secretion compared with inhibition of DPP-4 alone . However, it is unknown whether neprilysin inhibition affects DPP-4 activity. In this study, we sought to determine whether neprilysin inhibition preserves endogenous active GLP-1 levels in a model of high fat feeding and, if so, whether it is associated with reduced DPP-4 activity and improved glucose homeostasis. Ten-week-old C57BL/6.Nep +/+ and C57BL/6.Nep −/− male mice (originally from B. Lu, Children’s Hospital, Harvard Medical School, Boston, MA, USA ) were fed diets containing either 10% or 60% fat (Research Diets, New Brunswick, NJ, USA) for 16 weeks. Mice were housed two per cage, with a 12 h light/12 h dark cycle, and food and water ad libitum. Body weight, food intake and fed plasma glucose levels were assessed weekly. The study was approved by the Institutional Animal Care and Use Committee of VA Puget Sound Health Care System. Following the 16 week feeding period, i.p. insulin tolerance tests (1.0 U/kg; ITTs) were performed in conscious mice after a 4 h fast. Tail vein blood was collected at 0, 15, 30, 45 and 60 min post insulin administration for glucose measurement. After 2 days, OGTTs (2 g/kg) were performed in anaesthetised mice fasted for 16 h. Plasma was collected in heparinised tubes at 0, 10, 20, 30, 60, 90 and 120 min post glucose bolus for measuring glucose, insulin and C-peptide levels and at 10 min post glucose bolus for measuring active GLP-1 levels. To prevent degradation of GLP-1 in plasma, 500 kU/ml aprotinin, 3.2 mmol/l EDTA and 0.01 mmol/l diprotin A were added to the blood collected for GLP-1 measurement. Plasma samples were stored at −30°C prior to assay. For weekly bleeds and OGTTs, plasma glucose levels were determined using the glucose oxidase method. For ITTs, blood glucose levels were measured using an AlphaTRAK2 glucometer (Abbott Laboratories, Abbott Park, IL, USA). Plasma insulin, C-peptide and active GLP-1 levels were measured using the Mouse Ultrasensitive Insulin, Mouse C-Peptide and GLP-1 (Active 7–36) ELISAs (Alpco, Salem, NH, USA), respectively. Neprilysin activity was determined in plasma samples taken from mice following 2, 6, 10, 12, 14 and 16 weeks of feeding. Lateral saphenous vein blood from conscious, fed mice was collected in heparinised tubes and centrifuged to obtain plasma, which was stored at −30°C prior to assay. In the neprilysin activity assay, glutaryl-Ala-Ala-Phe-4-methoxy-2-naphthylamine is broken down by neprilysin in plasma to phe-4-methoxy-2-naphthylamine, and then by aminopeptidase M to the fluorescent product methoxy-2-naphthylamine . Each plasma sample was assayed in both the absence and presence of a specific neprilysin inhibitor (dl-thiorphan, Sigma-Aldrich, St Louis, MO, USA) to distinguish neprilysin activity from non-specific endopeptidase activity. Fluorescence was compared against a methoxy-2-naphthylamine standard curve. DPP-4 activity was determined in plasma samples obtained from mice immediately after the OGTT. Arterial (carotid) blood was collected in heparinised tubes and centrifuged to obtain plasma, which was stored at −30°C prior to assay. In this assay, DPP-4 cleaves non-fluorescent H-Gly-Pro-7-amino-4-methylcoumarin to generate fluorescent 7-amino-4-methylcoumarin . Plasma DPP-4 activity was compared against a 7-amino-4-methylcoumarin standard curve. Arterial (carotid) blood from low-fat and high-fat-fed Nep +/+ mice was collected in heparinised tubes immediately after the OGTT. Blood was centrifuged to obtain plasma, which was stored at −30°C prior to the following treatment. Plasma from each mouse was divided into two samples: one was incubated with the neprilysin inhibitor dl-thiorphan (20 μmol/l) and the other was incubated with vehicle (50 mmol/l Tris, pH 7.5) for 1 h at 37°C. Neprilysin and DPP-4 activities were then determined as described above. dl-Thiorphan was used at 20 μmol/l because this concentration was found to maximally inhibit plasma neprilysin activity in a dose–response analysis (data not shown). dl-thiorphan did not affect DPP-4 activity directly, as determined by measuring DPP-4 activity in plasma from low-fat and high-fat-fed Nep −/− mice after incubation with 20 μmol/l dl-thiorphan (or vehicle). In addition, DPP-4 levels in plasma from low-fat-fed mice were above the limit of detection for this assay, as determined by measuring DPP-4 activity in plasma incubated with varying concentrations of the DPP-4 inhibitor diprotin A (0.01, 0.1, 0.2, 0.5 and 1 mmol/l) or vehicle. All diprotin A concentrations reduced DPP-4 activity; 1 mmol/l diprotin A reduced DPP-4 activity by 93% compared with vehicle. In separate studies, recombinant human neprilysin (0.01 μmol/l; ACROBiosystems, Newark, DE, USA) was incubated with 50 μmol/l dl-thiorphan or vehicle (50 mmol/l Tris, 25 μmol/l ZnCl2, pH 7.5) for 1 h at 37°C. Recombinant human DPP-4 (R&D Systems, Minneapolis, MN, USA) was then added at a final concentration of 0.01, 0.05 or 0.1 μmol/l, and incubated for 1 h at 37°C. Molar ratios of 1:1, 1:5 and 1:10 neprilysin to DPP-4 were tested, with the 1:5 and 1:10 ratios approximating those documented in plasma from lean and obese humans [3, 16, 17]. Samples were assayed for neprilysin and DPP-4 activities as described above. Specificity controls were included in which samples containing only DPP-4 were assayed for neprilysin activity and samples containing only neprilysin were assayed for DPP-4 activity. As there was no difference in DPP-4 activity following incubation of 0.1 μmol/l DPP-4 with 50 μmol/l dl-thiorphan or vehicle for 1 h at 37°C, non-specific inhibition of DPP-4 activity by dl-thiorphan could be ruled out. As a positive control, inhibition of DPP-4 activity using our experimental paradigm was demonstrated by incubating DPP-4 (0.01, 0.05 or 0.1 μmol/l) and 0.01 μmol/l neprilysin with 2 mmol/l diprotin A. Data are presented as means ± SEM. Beta cell function was calculated as the incremental AUC for insulin over 0–30 min divided by the incremental AUC for glucose over 0–30 min divided by the fasting insulin level. Statistical significance was determined using ANOVA with post hoc analysis or the Mann–Whitney U test if data were not normally distributed. A p value of <0.05 was considered statistically significant. Mice fed a high-fat diet gained significantly more weight regardless of genotype (Fig. 1a). However, Nep −/− mice gained less weight than Nep +/+ mice, beginning after 3 weeks on the high-fat diet and from 13 weeks onward on the low-fat diet. Food intake was similar between Nep −/− and Nep +/+ mice on both the high- and low-fat diets (data not shown). Over 16 weeks, fed glucose levels were comparable and stable between Nep −/− and Nep +/+ mice on a low-fat diet (Fig. 1b). In contrast, Nep +/+ mice fed a high-fat diet displayed progressively elevated glucose levels over time compared with mice on a low-fat diet. Nep −/− mice on a high-fat diet also had elevated glucose levels, although a progressive increase was not observed and levels remained significantly lower than in Nep +/+ mice on a high-fat diet. During the OGTT, glucose and insulin levels were comparable between genotypes in mice on a low-fat diet, but were higher in Nep +/+ than in Nep −/− mice on a high-fat diet (Fig. 1c, d). The insulin:C-peptide ratio was calculated to determine whether high-fat-fed Nep −/− mice displayed reduced insulin clearance; however, no significant increase in the ratio was seen in Nep −/− vs Nep +/+ mice (data not shown). Glucose clearance during the ITT was comparable in mice on a low-fat diet regardless of genotype (Fig. 1e). Mice on a high-fat diet displayed poorer insulin sensitivity than those on a low-fat diet; however, Nep −/− mice were more insulin sensitive than Nep +/+ mice. To determine beta cell function, we investigated the relationship between OGTT insulin responses and fasting insulin levels (a surrogate for insulin sensitivity). Beta cell function was reduced in high-fat-fed vs low-fat-fed Nep +/+ mice, but was significantly greater in high-fat-fed Nep −/− vs Nep +/+ mice (Fig. 1f). Plasma neprilysin activity was undetectable in Nep −/− mice (data not shown), while it increased in Nep +/+ mice after 10 weeks of high-fat feeding (Fig. 2a). After 16 weeks of feeding, plasma DPP-4 activity was comparable in mice fed a low-fat diet regardless of genotype (Fig. 2b). With a high-fat diet, both Nep +/+ and Nep −/− mice displayed elevated DPP-4 activity; however, levels were significantly lower in Nep −/− than Nep +/+ mice. Active GLP-1 levels were comparable in mice fed a low-fat diet regardless of genotype (Fig. 2c). In contrast, Nep −/− mice on a high-fat diet had higher active GLP-1 levels than both Nep +/+ mice on a high-fat diet and Nep −/− mice on a low-fat diet. To determine whether pharmacological inhibition of neprilysin activity could reduce DPP-4 activity in plasma (as seen with genetic ablation of Nep in high-fat-fed mice), the neprilysin inhibitor dl-thiorphan (or vehicle) was incubated ex vivo with plasma from Nep +/+ mice fed a low- or high-fat diet for 16 weeks and then DPP-4 activity measured. dl-Thiorphan inhibited neprilysin activity by 95 ± 2% and 91 ± 6% in plasma from low-fat and high-fat-fed Nep +/+ mice, respectively (Fig. 3a). DPP-4 activity was greater in vehicle-treated plasma from high-fat-fed vs low-fat-fed mice (Fig. 3b). While dl-thiorphan treatment did not alter DPP-4 activity in plasma from low-fat-fed mice, it significantly reduced DPP-4 activity in plasma from high-fat-fed mice (Fig. 3b). The latter finding is consistent with the observation of lower in vivo DPP-4 activity in plasma from high-fat-fed Nep −/− vs Nep +/+ mice. To determine whether neprilysin directly inhibits DPP-4 activity, recombinant neprilysin was treated with the inhibitor dl-thiorphan and then incubated with recombinant DPP-4 in vitro at a neprilysin:DPP-4 molar ratio of 1:5 or 1:10, to match proportions found in plasma from lean and obese humans [3, 16, 17]. Measurement of DPP-4 activity showed that dl-thiorphan treatment resulted in 75 ± 2% (n = 3, p < 0.05) and 84 ± 4% (n = 3, p < 0.05) inhibition of neprilysin activity in samples containing neprilysin:DPP-4 molar ratios of 1:5 and 1:10, respectively, but had no effect on DPP-4 activity (Fig. 3c). Even at a molar ratio of 1:1, no inhibition of DPP-4 activity by neprilysin was observed (data not shown). Treatment of DPP-4 with diprotin A served as a positive control to demonstrate that DPP-4 activity could be inhibited under the experimental conditions used (Fig. 3c). We show that in high-fat-fed neprilysin-deficient mice, active GLP-1 levels are elevated compared with in wild-type mice, and are associated with improved beta cell function and glucose tolerance. This is consistent with the loss of neprilysin’s ability to cleave and inactivate GLP-1 [10, 11]. Under conditions of prolonged neprilysin deletion, compensatory increases in other proteases that act on the same substrates as neprilysin (e.g. DPP-4) could be expected. However, we observed lower plasma DPP-4 activity in high-fat-fed neprilysin-deficient mice, suggesting that neprilysin may regulate DPP-4 activity and contribute to elevated active GLP-1 levels independent of its direct proteolysis of GLP-1. Since the possibility cannot be excluded that genetic deletion of neprilysin in mice may have resulted in compensatory changes in the level and/or activity of DPP-4 in vivo, we employed a complementary ex vivo pharmacological approach to determine whether neprilysin can indeed modulate DPP-4 activity. For this, a specific neprilysin inhibitor was added to plasma from wild-type mice and DPP-4 activity measured. Unlike constitutive knockout of neprilysin in mice from birth, pharmacological inhibition has the advantage of eliminating neprilysin activity acutely, thereby decreasing the likelihood of compensatory increases in other proteases and, more specifically, excluding the possibility that changes in DPP-4 expression levels are the mechanism responsible for reduced DPP-4 activity. Strikingly, the effect of acute pharmacological neprilysin inhibition on DPP-4 activity was comparable with that seen with genetic ablation of neprilysin, namely, DPP-4 activity in plasma from high-fat-fed but not low-fat-fed mice was reduced when neprilysin activity was abolished. To explore the mechanism responsible for this novel observation, we investigated whether neprilysin directly inhibits DPP-4 by co-incubating recombinant forms of the two proteins in vitro, with or without a neprilysin inhibitor, in a plasma protein free environment that enables retention of enzymatic activity. This paradigm eliminates the possibility of compensation by other proteases present in plasma. Under these in vitro conditions, inhibition of neprilysin failed to affect DPP-4 activity, suggesting that neprilysin does not directly interact with DPP-4. Hence, we postulate that under low-neprilysin/high-fat conditions, there is increased plasma availability of a neprilysin substrate(s) that may act to inhibit DPP-4 activity. While neprilysin substrates are numerous , none to our knowledge have been shown to directly modulate DPP-4 activity. Moreover, enzymes such as DPP-4 are typically found to be in excess of their substrates; thus, for a neprilysin substrate to act as a competitive inhibitor, its levels would need to be greater than circulating DPP-4 levels. Another potential mechanism that may explain a reduction in DPP-4 activity with neprilysin inhibition is post-translational modification, specifically hypersialylation of DPP-4. In keeping with this idea, studies have shown that desialylation of DPP-4 increased its activity . Thus, it is possible that a neprilysin substrate promotes sialylation of DPP-4 to downregulate its activity. Further, it has been demonstrated that cytokines are important for regulating DPP-4 activity: IFN α, β and γ act via STAT1α signalling to enhance DPP-4 activity . Neprilysin inhibition may interfere with this signalling pathway under high-fat conditions, in which IFN-γ production is known to be upregulated . Clearly, future studies are needed to reveal the identity of the neprilysin substrate(s) that may be modulating DPP-4 activity and to assess its suitability as a drug target. In addition to neprilysin deficiency preserving active GLP-1 levels directly (i.e. lack of neprilysin-mediated proteolysis) or indirectly by lowering DPP-4 activity, it may be possible to further augment active GLP-1 levels by concurrent inhibition of DPP-4. In fact, previous studies showed that when combined with DPP-4 inhibition, short-term pharmacological neprilysin inhibition increased exogenously infused active GLP-1 levels by 40% and its half-life by sixfold . 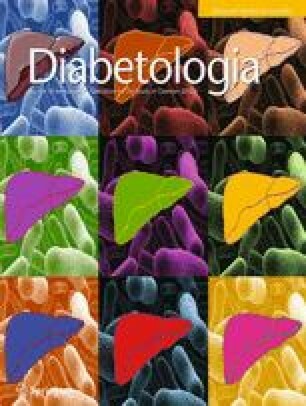 In terms of whether this translates to a glycaemic benefit in the setting of endogenous GLP-1, a separate study showed that co-administration of a neprilysin inhibitor to diabetic Goto–Kakizaki rats for 12 weeks did not potentiate the antihyperglycaemic effects of DPP-4 inhibition alone . Moreover, the study showed that neprilysin inhibition alone conferred no glycaemic benefit. In contrast, our findings on beta cell function indicate that neprilysin inhibition may improve the glycaemic status of high-fat-fed mice, partly via the incretin effect. Significant differences between the Goto–Kakizaki rat and neprilysin-deficient mouse models may explain these discrepant findings. Specifically, Goto–Kakizaki rats are lean and develop diabetes when fed a chow/low-fat diet , whereas neprilysin-deficient mice become obese and insulin resistant when fed a high-fat diet. Indeed, we only saw a beneficial effect of neprilysin ablation on glycaemia under conditions of high-fat feeding, including consequent obesity. Of note, body weight, which is typically reduced by GLP-1, was marginally lower in neprilysin-deficient mice despite food intake being comparable with that of wild-type animals; however, high-fat-fed neprilysin-deficient mice were still obese relative to low-fat-fed mice. We feel the small difference in body weight between high-fat-fed neprilysin-deficient and wild-type mice is unlikely to have contributed to the marked improvements in glycaemic status. While our data suggest that increased active GLP-1 levels may contribute to improved glucose metabolism by enhancing beta cell function under conditions of neprilysin deficiency, other mechanisms may also be involved. As neprilysin has broad substrate specificity, cleavage of oligopeptides other than GLP-1 may modulate glycaemic status. For example, increased levels of the neprilysin substrate bradykinin have been shown to contribute to improved insulin sensitivity in neprilysin-deficient mice [5, 6]. Further, blocking bradykinin degradation using a neprilysin inhibitor increased insulin-stimulated glucose uptake at both the whole-body level and in insulin-responsive tissues of Zucker diabetic fatty rats . Thus, neprilysin inhibition is likely to contribute to improved glycaemia via both GLP-1 dependent and independent mechanisms. In contrast to our findings of improved glycaemic status in high-fat-fed neprilysin-deficient mice, some previous studies have demonstrated that a lack of neprilysin activity confers no glycaemic benefit under conditions of increased dietary fat. For example, in studies of high-fat-fed neprilysin-deficient mice [3, 24], as well as in high-fat-fed wild-type mice or rats treated with a neprilysin inhibitor [25, 26], glucose excursions during an i.p. glucose challenge were no different from those observed in high-fat-fed wild-type control mice or rats. Similarly, as mentioned above, in diabetic Goto–Kakizaki rats, treatment with a neprilysin inhibitor for 12 weeks did not affect oral glucose tolerance . Also, 1-year-old neprilysin-deficient mice with late-onset obesity exhibited impaired oral glucose tolerance . Many of these studies also reported no reduction in body weight with either genetic or pharmacological elimination of neprilysin activity in high-fat-fed animals. Data from previous studies may contradict ours because (1) i.p. glucose administration does not stimulate GLP-1 secretion [3, 24, 25, 26]; (2) in some cases, C57BL/6J purchased from The Jackson Laboratory were used as controls for neprilysin-deficient mice (rather than being bred from mice heterozygous for the null allele) [3, 24, 25], or rats were used [22, 26]; (3) pharmacological inhibition may not completely ablate neprilysin activity as is the case with genetic deletion; (4) in 1-year-old neprilysin-deficient mice, glucose tolerance may have been confounded by weight gain due to their increased food intake ; and (5) variances in the duration or timing of dietary/inhibitor intervention may result in different outcomes. Reconciling these differences in future work will be critical for developing a better understanding of the role of neprilysin in modulating glucose homeostasis. In summary, our data raise the interesting possibility that neprilysin inhibition could be beneficial for diabetes patients by increasing active GLP-1 levels via preventing of neprilysin-mediated proteolysis of GLP-1 and/or reducing DPP-4 activity. As neprilysin inhibitors are approved by the US Food and Drug Administration for treating heart failure and their use is well tolerated with no serious adverse events , our data argue that further studies are warranted to elucidate the clinical utility of neprilysin inhibitors in type 2 diabetes whether used alone or as an adjunct to other therapies. We thank P. Bergquist, C. Braddock, M. Peters and A. Rahman, Seattle Institute for Biomedical and Clinical Research, USA, for their excellent technical support. We also thank D. Drucker and E. Mulvihill, University of Toronto, Canada, for their guidance on measuring plasma DPP-4 activity. This work was supported by the National Institutes of Health (grants DK-098506 and DK-080945 to SZ; P30 DK-017047 to the Cell Function Analysis Core, University of Washington Diabetes Research Center) and the United States Department of Veterans Affairs. SZ conceived the study; JRW and SZ designed the study; BMB and JRW performed experiments; BMB, JRW and SZ analysed the data; SZ wrote the manuscript; and BMB and JRW edited the manuscript. All authors approved the final version to be published. SZ is the guarantor of this work and, as such, had full access to all of the data in the study and takes responsibility for the integrity of the data and the accuracy of the data analysis.